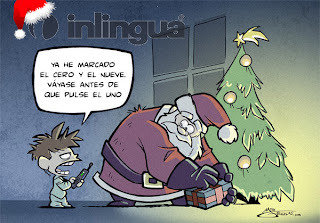 I’m going to talk about Christmas gift-giving in Spain. Well, a gift is always considered as a gesture of love and affection. A lot of good things can be said about this beautiful custom, so that we can stay here until the next Christmas day and still, we won’t be able to finish talking about it. First and foremost, I must say that we, Spaniards are very religious; we, being a staunch defender of Catholicism since time in memorial. Our zeal to cultivate the spirit makes us a bit careless with money, a thing that gives us discomfort in the pocket. For this, driven by our zealous desire to improve ourselves spiritually in this season of love, we plunge into spending spree without any control. We fill our respective houses and those of our relatives and friends with silly things, and at the same time, empty our pockets with that horrible metal, which in reality, is the only thing that matters to us. “Please, you don’t have to bother giving me something. You’re such a good friend. You always have something for me”, but silently we tell ourselves: “What the hell has he brought me this time?” as though saying that if it’s another handkerchief, I will throw it to his face. Manolo says: “Take this Ramon. It’s my way of showing how important you are to me as a friend. On days such as this, I think of you very much and I won’t let them pass without you knowing how much I care for you.” But, the truth is that he’s thinking: “Open, open it now. Stop saying those words of appreciation because I can’t wait to see and laugh at your funny face when you open the gift”. Another beautiful custom in Spain is to go out with friends on Christmas day to eat and drink like beasts. Naturally, we agree to meet on a certain time, and the first one to arrive will make it to the place one hour late. You might be thinking that I’m referring to Slovak friends. No, don’t be mistaken. I’m referring to Spanish friends. Indeed, when I meet with my Slovak friends, I feel like meeting with my Spanish friends, waiting, waiting and waiting until they show up, only in the end to receive a text message saying that they will not be able to make it. Well, when everyone has finally arrived, we proceed to eat, tell stories, laugh and drink until all of us get tipsy, always happy about the thought that we are remembering the birth of Jesus Christ. Of course, we do it in the spirit of generosity, which is so typical of us. When it is time to pay the bill, a real fight will break out as to who will pay it, as everyone insists that he is the first one to have invited each one to come to the celebration. But, when someone has finally paid the bill, one can feel or even hear clearly a great sigh of relief of those who did not. There are other typical customs in Spain during Christmas season. The young kids during these days would form groups and go from house to house to sing Christmas carols and ask for “aguinaldos”, money or candy in return for their “service”. I remember when I was young, as though it were just yesterday, I would join my friends to sing Christmas carols and ask for gifts from our neighbors. I have never seen much horrified faces in my life before as they open the door! They would have different reactions upon seeing our young group singing “villancicos” and playing the tambourines. There was one who got very irritated and bore with us with a fake smile on his face, and later, sent us away with a measly peseta (equivalent to one Slovak crown at that time). There was one who shut the door under our nose as if he had seen a demon. There was one who covered his ears while we were singing. 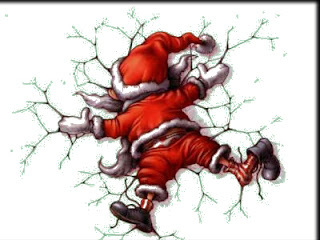 Finally, there was one who was scared to death, fainted and fell to the ground. In spite of everything, we really enjoyed the experience. se la comió San José. How is it in your country? 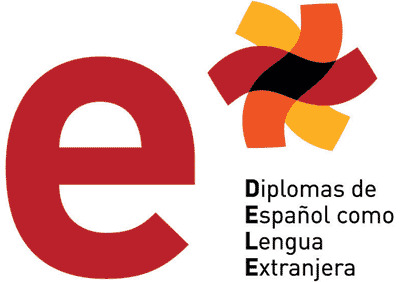 Los Diplomas de Español como Lengua Extranjera (DELE) son títulos oficiales y de ámbito internacional, acreditativos del grado de competencia y dominio del idioma español, que otorga el Instituto Cervantes en nombre del Ministerio de Educación de España. - Están reconocidos internacionalmente por empresas privadas, cámaras de comercio y sistemas de enseñanza públicos y privados. - En España, permiten el acceso a universidades, escuelas de negocios y puestos de trabajo en la Administración Pública. - Cada vez están más demandados en universidades de otros países. - Se ajustan a las pautas del Marco Común Europeo de Referencia (MCER). - Facilitan la movilidad geográfica en los ámbitos académicos y profesional y la obtención de becas. El Instituto Cervantes cuenta con una extensa red de centros de examen (más de 500 repartidos en más de 100 países), donde puede tramitar su inscripción y realizar las pruebas. En Nitra, inlingua Nitra es el único centro de examen DELE reconocido. desde el 03. 09. 2012 hasta el 12. 10. 2012. Lugar de inscripción: inlingua Nitra. Documentación necesaria: formulario de inscripción, fotocopia del documento nacional de identidad. Para obtener más información sobre las pruebas para la obtención de los diplomas de español en Nitra, puede consultar la página web de inlingua Nitra , o la del Instituto Cervantes:http://diplomas.cervantes.es/, o contactar directamente con nuestro centro inlingua en Nitra. 1- Be real and patient. Learning a new language needs time and takes a while. 2- Be constant having courses and going to the school. The more constant you are the better and quickly you will learn the language. If you stop to attend courses or do not go often to classes you will forget more and lose fluency and accuracy using the target language. 3- Practice as much as you can in class and outside. Try to use the language you learn regularly. 5- Try to make us of your errors. Make a list of your recurring errors and jot down alternative solutions. Do you homework with one of your classmates and do peer-checking. 6- Make the language you are learning as an inevitable part of your life. 7- Find a comfortable place and study there always. Make up your mind about when to do your homework and do your homework at that time. Do your homework on time and do not amass your homework. Besides, keep what you have studied in a separate notebook. 8- Go through the lessons you had studied that day before you go to bed. Going through such exercises and reading in the target language enables your brain to be busy with the target language even when you are sleeping. 9- When you exercise, speak loudly, and regularly. Self-speaking can make enable you to pronounce better. 10- Revise the topics regularly and try to make a connection between the things you revised with your real life experiences. Take notes and ask what you do not understand. 11- Study in inlingua, one of the world's leading language training organizations with about 345 Language Centers in 44 countries across Europe, Africa, Asia, North and South America. Here, we would like to introduce the inlingua Nitra blog contents. On this blog, we will inform you about latest news, courses, offers, events…and even more! Have you ever heard about inlingua Nitra? inlingua is one of the world’s leading language training organizations with over 345 language centers in 44 countries across Europe, Africa, Asia, North and South America. inlingua Nitra is the first inlingua center in Slovakia. It uses all the experience of the inlingua International network. There is a wide array of language training inlingua Nitra offers: English, German, French, Spanish, Italian, Russian, Slovak language for foreigners and more. We have special training programs focused on general language for all ages (adults, youth, and children). We also offer languages for business purposes and special modules for business English, German, Spanish and French (presentation, negotiating, meetings, correspondence, finance, etc.) Furthermore, there is training through Internet (Online Learning) using the newest technology of teaching languages. Our students can also choose whether they want to study in a small group, mini-group or individually. Would you like to take part in it? Moreover, inlingua Nitra offers a complete service of translation and interpretation in all the possible languages. Thanks to the professionalism of our external and internal translators we can provide you with a fast and high quality translation service. We translate technical, legal, financial texts, as well as texts from the area of industry, business, websites, etc.